Restylane and Restylane Silk are dermal fillers that can smooth out folds and wrinkles, and increase lip volume through the addition of hyaluronic acid, a material that the human body produces naturally. 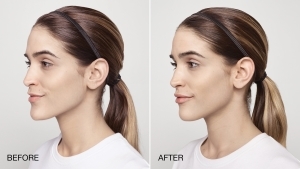 The results that patients experience with Restylane and Restylane Silk are instantaneous and long-lasting, naturally enhancing their appearance with visible results. Restylane and Restylane Silk fillers contain no animal or human by-products, will not create any complications in patients that have animal allergies, and are extremely safe as an anti-aging treatment. 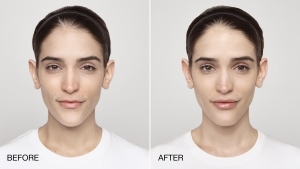 Restylane Silk is an injectable filler that is specially designed for lip enhancement. It is FDA-approved and the only product that specifically targets smoothing and enhancing the lip area. For patients 21 years of age and older, it can produce drastic results in smoothing the wrinkles around the mouth. When you consult with our specialists, we can discuss the ideas you have surrounding your ideal image of beauty. 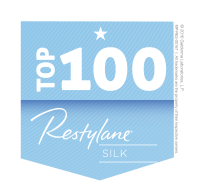 Restylane and Restylane Silk are only available through licensed practitioners, and when you come to our office you will be in very good hands. In a clinical study, it was reported that 77% of patients saw a significant improvement to the fullness of their lips. An astonishing 59% of patients reported that the effects lasted over 6 months after the treatment. The treatment can drastically increase lip fullness in only two weeks after the injection. Restylane and Restylane Silk are made of hyaluronic acid, a substance that is naturally produced in the body, and comes in the form of a clear gel. It is safe and FDA-approved, and will continue to show results for 6-9 months. The treatment is fast and easy. We can also discuss the entire Restylane product line. Whatever the case, we are happy to be at your service as we help you embody your ideal image of beauty. Areas Treated - They are used to fill moderate to fine lines and wrinkles on the face. 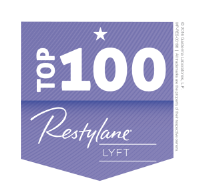 Schedule a Restylane consultation with our Experienced Specialists by today.